Can you download music from Spotify for free? Spotify is one of the biggest music streaming services in the world, and allows you to listen to millions of tracks on the go. The app is available on iOS, Android, Mac and PC. It also lets you download music for offline listening too, but this service is available to Spotify premium customers for $9.99 per month. So many users ask is there any way to download Spotify music for free without upgrading to premium? The answer is yes. 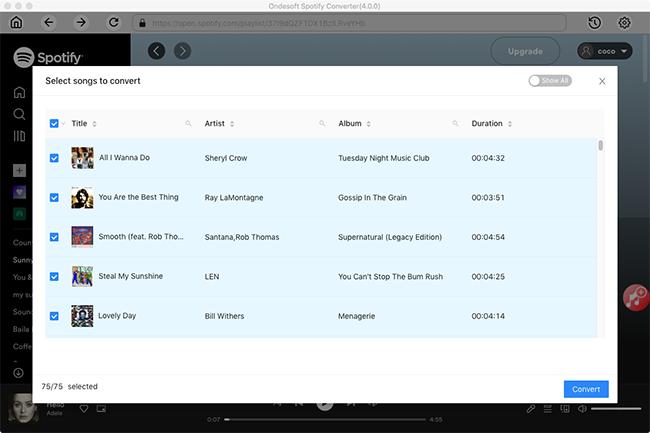 All you need is Ondesoft Spotify Music Converter. 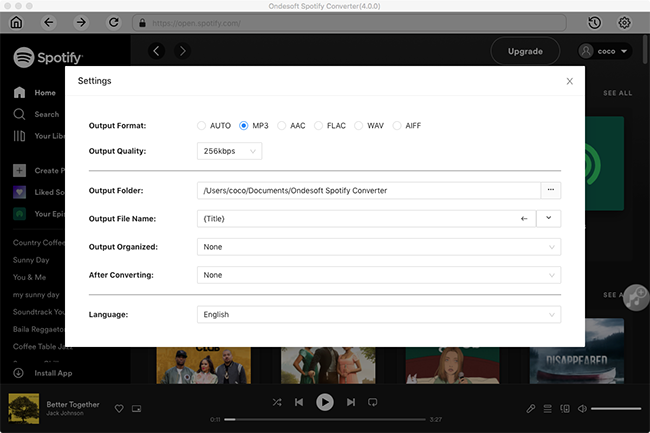 Ondesoft Spotify Music Converter is a professional music downloader tool that allows you to download Spotify music to mp3 with either free or premium account. All you need to do is drag&drop the songs, albums or playlists to the converter interface and then click 'Convert'. Besides mp3, Spotify converter also supports downloading Spotify music to m4a, wav and flac format at up to 320 kbps. It will perserve all ID3 tags, such as song name, duration, artist, album, genre, kind and artwork. Tutorial: How to download Spotify Music for free with Ondesoft Spotify Downloader? 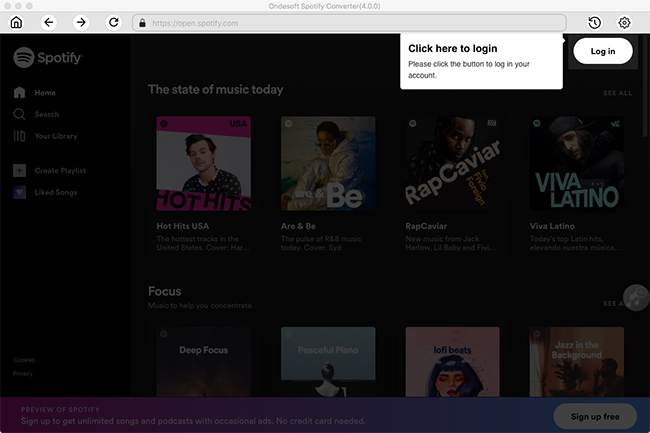 Download, install and run Ondesoft Spotify Downloader on your Mac. If you have installed Spotify app, it will be launched automatically. 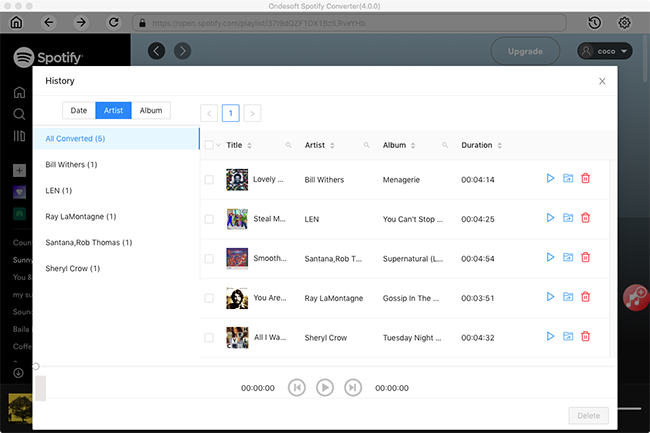 Drag&drop the songs, albums or playlists to the interface. 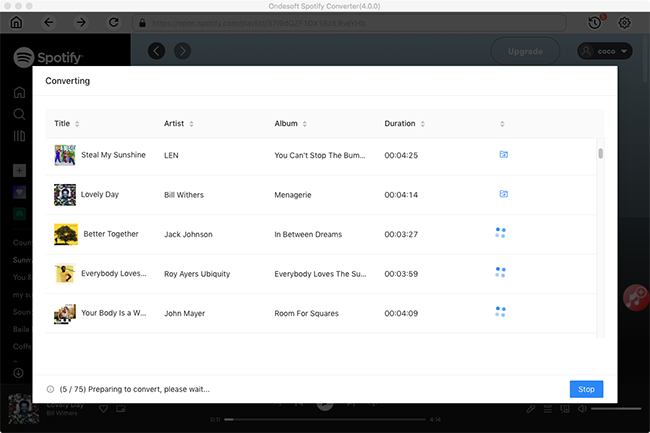 Ondesoft Spotify Downloader will automatically load all songs contained in the album or playlist, you can add as many songs, albums, playlists as you want. If you are using web player, copy&paste the link of the song, album or playlist you want to remove DRM from to the bottom area. 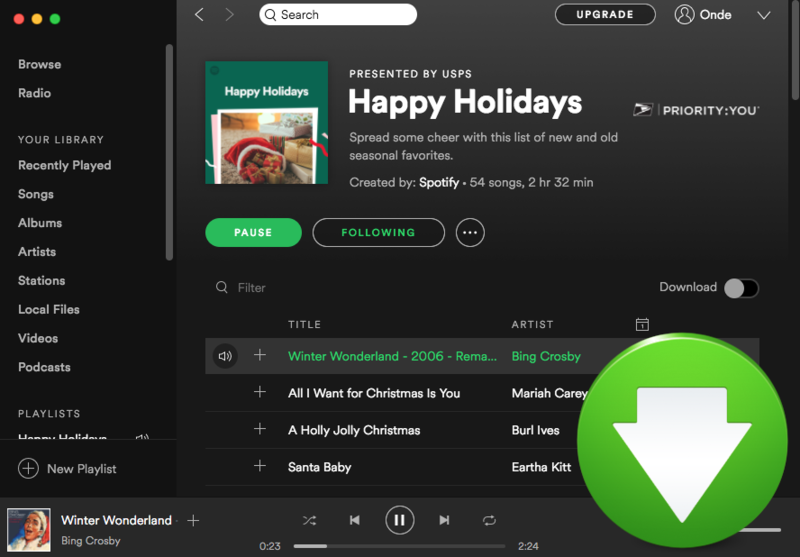 Click Convert button to start downloading Spotify music to the format you choose.